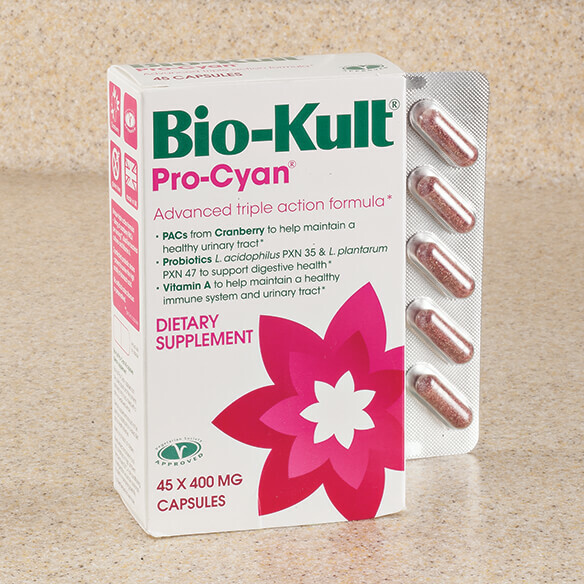 Support your immune system and optimize urinary tract health with this triple-action Bio-Kult® Pro-Cyan® formula. Scientifically developed as an immune booster which provides maintenance of the mucous membranes found along the urinary tract. To use, take 1-2 probiotic supplements twice daily with food. Children under 12, take half adult dose or as recommended by healthcare practitioner.